britishbusinessflorida@gmail.com On Subject line put: British news page on your website. Include your name+ City+ phone. ► GREAT NEWS!! VIRGIN CRUISES WILL START OPERATING OUT OF PORT MIAMI with 3 new ships in 2020. Find current info always on www.virginvoyages.com Sir Richard Branson has stated he wants YOUR input as to what you would like to see on their new ships and encourages you to fill out the form on the website. ► Elwood’s British pub in downtown Miami closed down without warning in April 2016. In 2018, this major international city now has ZERO British pubs. £ TIP: WANT TO SAVE WHEN TRANSFERRING over UK CURRENCY? DON’T USE YOUR BANK! Use Moneycorp. [ I use Moneycorp myself–FABB President.] The pound is shaky. That affects all expats in Florida who still have UK dealings. To transfer your precious funds, we highly recommend you use the services of Moneycorp. At lower rates than any bank! This will save you fees and grief, as we Londoners say! What your own bank won’t do is save considerable exchange fees, like Moneycorp. NOW is an advantageous time for you to transfer any funds you have. THE BEST WAY: Moneycorp, the UK company with an office in Florida and droves of satisfied Florida clients. It is the only UK currency exchange company licenced to deal in 50 states. Many expat Brits here have used this currency service for years and report huge savings and satisfaction. TO FIND OUT MORE: Phone Moneycorp’s Kelly Cutchin on  207-6616 at their USA HQ in Orlando to ask all your questions. Or email your query to kelly.cutchin@moneycorp.com Moneycorp’s HQ is in England. Posted by the Florida Association of British Business [FABB]. Moneycorp have been trusted members since 2005. ► ARE YOU A BRIT LIVING IN MIAMI or anywhere in FLORIDA? OR UK BRIT WITH PROPERTY THERE? 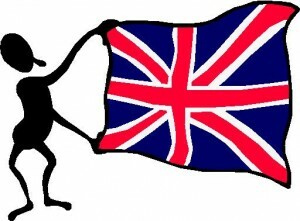 Sign up for our eBritnews email—invitations to local British events and info relevant to expats. Send email to britishbusinessflorida@gmail.com On subject line put: Receive Florida eBritnews. IMPORTANT: Must include your Florida city + contact phone.